$225 Nightly. Super charming cottage! 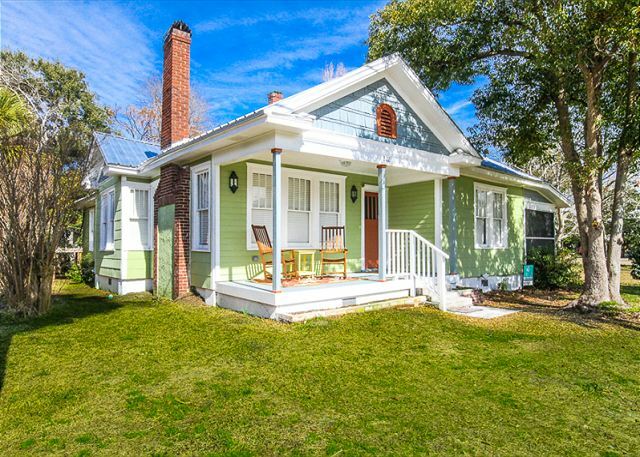 Renovated historic Tybee beach cottage! Two porches to relax and enjoy! One screened and one front porch with rockers. Located in the quiet, Back River district of the island with partial view of Back River & close to Alley 3 Kayak Launch area! $160 Nightly. Pet friendly, great porch! Vintage Ground Level Cottage. Pet Friendly, Easy 10 Minute walk to the beach. GREAT Screened Porch! WIFI. 2 Full Baths. $450 Nightly.Pets & 1/2 block to beach! Beach side Butler Ave. Family Home. Less than 5 minute walk to beach. 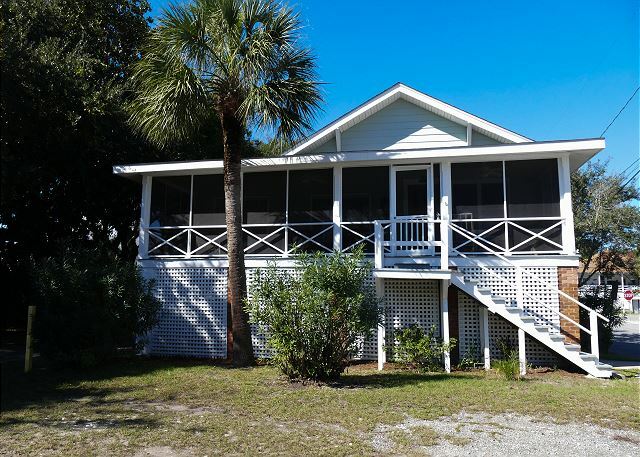 Classic Tybee raised beach cottage with awesome front screened porch. 5 bedrooms, 3 bathrooms and 2 outdoor showers! Pet-Friendly! NOTE: this home requires a 3 night stay or longer. $275 Nightly. Dogs! Private dock! Ground level 4 bedroom/ 2 full baths. Fenced Yard. Private Dock. Pets Welcome. 15 minute walk to beaches. WIFI. $175 Nightly. Dogs, downtown, beach! Ground level Beach Cottage located on Tybrisa Street. Easy Walk to Beach, Downtown Tybee's shops/ restaurants. Close to Back River Fishing Pier, Alley 3 Paddleboard and Kayak Launch. Fenced-in yard. Dog friendly. Ground level Large screened porch! $220 Nightly.Outdoor shower! Super cute! $220 Nightly.Quick walk to beach & park! 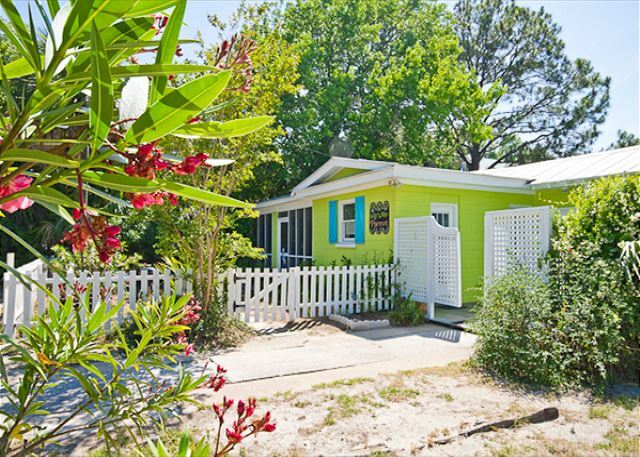 Charming 1940's ground-level beach cottage. 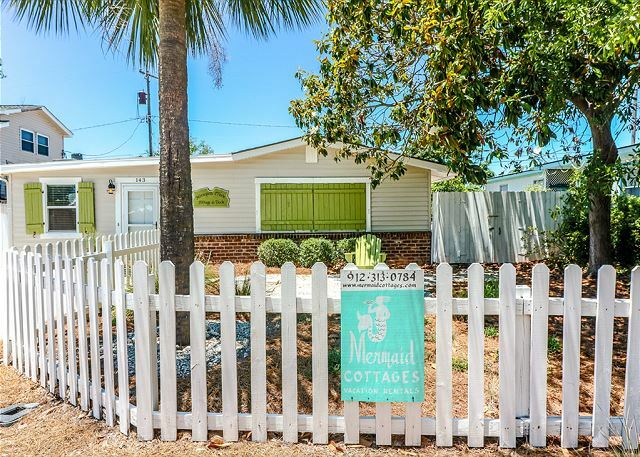 3 short Tybee blocks from the beach and across from Memorial Park tennis courts, basketball courts & playground. Large deck & covered parking! WIFI. $160 Nightly. Dog & Cat friendly! Cute! Charming & Cozy pet-friendly and family-friendly cottage! 4 blocks from the beach! Decor details throughout the cottage displaying the history of Tybee Island and the Chu family! Outdoor shower! 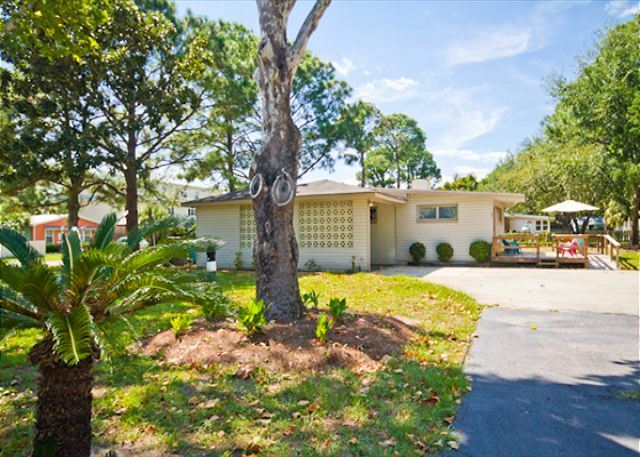 Great outdoor area surrounded by live oaks & palms! $150 Nightly. Pet friendly! Marshfront! Dog and cat Friendly, complimentary WIFI. A very affordable and value priced family cottage. Located on the Marsh with amazing sunrises and bird watching. $260 Nightly. New for Spring 2019! 607A Sixth Street, Tybee Island, GA 31328 Marsh views from every room. Newly updated and decorated duplex overlooking the marsh and magnificent sunsets on the back private deck. 5 blocks from the beach.